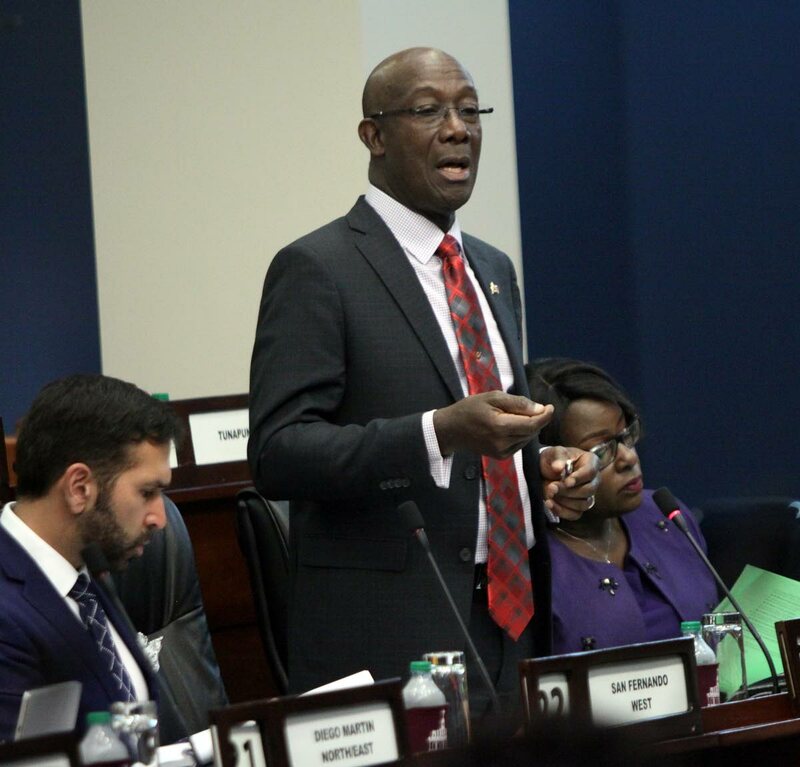 PRIME Minister Dr Keith Rowley has accused the Opposition of generating misinformation and fake news about the Galleons Passage ferry. He was responding during Prime Minister’s questions yesterday in Parliament. He was asked what was the full list of repairs which the vessel is expected to undergo when it arrives in Santiago, Cuba and the associated costs. Rowley said the vessel was not to undergo any repairs but minor upgrades and improvements including a canopy for the vehicle deck, a full canopy for the sun deck, a second female wash room on the sun deck and remodelling rails in the passenger area. He explained at the time of the purchase there were items identified for improvement. Asked why work was being done in Cuba instead of Trinidad, Rowley said the seller has a relationship with a shipyard in Cuba and it is their responsibility. Naparima MP Rodney Charles asked why the improvements were not part of the specifications. Rowley reiterated that the vessel was bought as is and they were originally looking for a vessel to lease when the broker found one for sale. He was also asked if there was a relationship between the Government and Sealease Ltd regarding the purchase of the Galleons Passage. Rowley said he was unaware there was any basis that people would assume that relationship and explained that Sealease was the vendor which sold the vessel to Government. In another question Charles asked if the stated demand by Sandals that all concessions and incentives provided to that organisation by his administration must be adhered to by all successive governments. Rowley replied he was not aware that clause was required and suggested that if Charles wanted to learn about law of contract he should go to law school. Caroni Central MP Dr Bhoendradatt Tewarie asked if there was any contract between any agency and Sandals. Rowley responded: “What is the obsession with Sandals?” Rowley said they signed an MOU and any contract they enter into will be done on top the table and to the best interest of the citizenry. Reply to "PM: UNC spreading fake news about Galleons Passage"